Scooper - Technology News: Should we ban weapons that don't even exist yet? Should we ban weapons that don't even exist yet? The next U.N. secretary-general will face no more urgent or important task than breaking the impasse in non-proliferation. Despite Ban Ki-moon’s acclaimed five point plan on nuclear disarmament, in the last two decades progress has slowed essentially to a standstill. The increasingly confrontational atmosphere, as non-nuclear powers grow frustrated, is complicating the task of making progress on other weapon types—as is the mutually suspicious relationship between Russia and the U.S. Meanwhile, technological advances are changing the playing field at growing speed, and rendering the institutions and frameworks at our disposal no longer fit for purpose. For example, NATO has already recognized cyberspace as a new domain of warfare, but the United Nations is now onto its fifth governmental discussion group without succeeding in defining a governance regime to delineate what should be considered acceptable. Nor is there so far any imminent prospect of consensus on how to approach the looming possibility of fully autonomous weaponized artificial intelligence. 1. It is stovepiped and disjointed. Different kinds of threats—such as nuclear, chemical, biological, cyber, or artificial intelligence-powered lethal autonomous weapons systems—have their own committees, conferences, state party meetings, and so on, with different configurations of states involved in each. That structure no longer makes much sense, as new threats are emerging primarily at the intersections of technologies. Think of nuclear attacks triggered remotely via a virus like Stuxnet; weapons being locally 3D-printed from digitally-shared templates; or targeted biological weapons being optimized by machine learning, manufactured in a garage laboratory and spread using an off-the-shelf quadrocopter drone. 2. It assumes that the main threats come from states . This has been true for most of history—the capacity to wreak destruction on a massive scale has typically required an army and/or a large research budget. But, as the above examples make clear, that is no longer a valid assumption. Destructive capacity is being democratized. Much of the necessary knowledge is available online. And much of the technology is dual-use and produced by private companies for commercial applications. When the threats no longer come primarily from states, the mechanisms states have evolved over the decades to manage their relationships—such as treaties and game-theoretic equilibria—become less relevant to ensuring international security. 3. It is predicated on zero-sum thinking . States have, understandably, always viewed disarmament negotiations through the lens of their own national security interests: Are they gaining more than they are giving up? However, the growing destructive capacity of non-state actors and malicious individuals is creating a new dynamic, with more shared self-interest among state actors in protecting their citizens against threats from a widening cast of non-armed and armed non-state actors. It is no coincidence that most of the remarkable progress in non-proliferation in the latter part of the 20th century—notably the U.N. General Assembly’s creation in 1978 of the Conference on Disarmament—was focused on weapons which had already been used with shattering results. Still, there are precedents for regulating weapons that so far exist only as conceivable applications of innovations intended for civilian use—one successful example was blinding laser weapons, outlawed before they had been fully developed or deployed. As the pace of new weapons development accelerates and geopolitical relations become more tense, it is more necessary than ever not to wait for devastating uses to concentrate the mind. There is a need for a new agenda to address issues of non-proliferation—a new platform to monitor, consider, and make recommendations about the implications of emerging technologies for international security overall and the non-proliferation and arms control agenda more specifically. But what should it look like and who needs to be involved? Overcoming the stalemate will require more than institutional procedural reforms, or merely establishing a new venue for negotiations. It will require a concerted effort to build trust, confidence, and greater literacy on what’s at stake, and to bring in a broader set of stakeholders. It makes little sense, for example, for U.N. discussions on cyber warfare to be restricted to governments, when so much of the infrastructure is in private hands. The Conference on Disarmament involves only one-third of the U.N.’s total membership, and has not even been able to reach consensus on its agenda since the 1990s—but it is still the only permanent multilateral disarmament treaty negotiating body. It could be revived and expanded to include new, innovative partnerships, focusing on how emerging technologies change the playing field, the speed of change, the urgency of response, the widening cast of actors, and the imperative to engage with industry and civil society leaders systematically and regularly. The extent to which private sector involvement can make or break a non-proliferation process can be seen by comparing the Chemical Weapons Convention with the recent Arms Trade Treaty. The chemicals industry perceived a solid business case for being closely involved during the process of formulating the Chemical Weapons Convention, providing reality checks on what was feasible, and subsequently embraced implementation through self-regulation. And though much work still remains, it provided a platform for effective implementation. 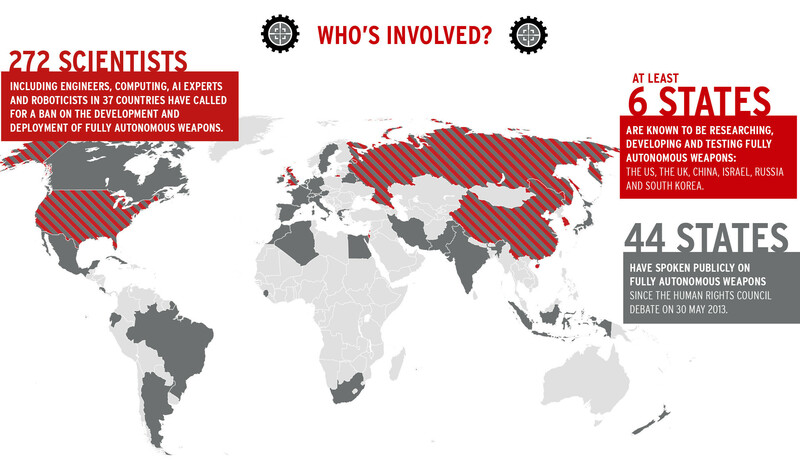 The arms industry, in contrast, was less systematically involved in the process leading up to the Arms Trade Treaty, which then did not achieve as wide acceptance among states as the Chemical Weapons Convention—and industry players have seemingly made less effort in thinking about the implementation side of the process, despite a similarly solid business case. Agreeing a treaty is no small achievement—consider that the Comprehensive Nuclear-Test-Ban Treaty Organization in Vienna has been waiting nearly 20 years to have a treaty to enforce. But treaties are only building blocks. The hard work is first getting them ratified—with a steady decrease in the numbers of states ratifying new treaties over the last two decades—and then making them stick. That implementation is the Achilles heel of non-proliferation can be seen by the relative lack of states with compliance mechanisms in place for treaties agreed in the late 1980s and 1990s. As technology will always move more quickly than treaties, non proliferation implementation efforts will need to make increasing use of industry initiatives such as laboratory standards, testing and certification regimes, and insurance policies. The eagerness of several artificial intelligence companies (Google Deep Mind, Lucid) to have their work overseen by an interdisciplinary ethics board illustrates that when industry leaders perceive the risks, they become willing partners. Systematically involving industry will be challenging because many innovators in spaces such as biotech and artificial intelligence are not primarily focused on the possibility of their innovations being weaponized. But anything that can be weaponized will be, sooner or later—and it is possible to make a strong business case, for governments and business alike, for protecting against the possible unintended consequences of arms races in new types of weapons and technologies. Major states, meanwhile, will need to demonstrate leadership in recalibrating their approach—accelerating progress to explicitly articulate and develop greater literacy about impact and trajectories, consolidating and strengthening norms around the use of new and emerging kinds of weapons, and exploring parallel negotiations on the core issues where there is obvious shared vulnerability. Trust in the will and capabilities of U.N. member states to make progress on non-proliferation has eroded in the last two decades. Nonetheless, the U.N. and related fora remain uniquely positioned to take non-proliferation work forward—if trust can be rebuilt. Merely finding common ground on defining the gaps and blind spots, and identifying and engaging the right stakeholders, would be useful first steps. All concerned countries, businesses, technologists, and friends of the U.N. should ensure that the new secretary-general makes this her or his top priority from the get-go.